А meeting between Russian President Vladimir Putin and German Chancellor Angela Merkel began in Germany. In a joint press statement before the talks, Merkel said that one of the topics would be Ukraine and its role in the transit of gas to Europe after the launch of the Nord Stream-2, the 112 Ukraine TV channel reported. "This is an excellent opportunity to continue our dialogue. One of the topics is Ukraine, now there is no stopping of the fire, so we will discuss it. We will also discuss gas transit and believe that Ukraine must remain a party to this process, "Merkel said. Note that before that, the leaders of Germany and Russia met in Sochi on May 18. 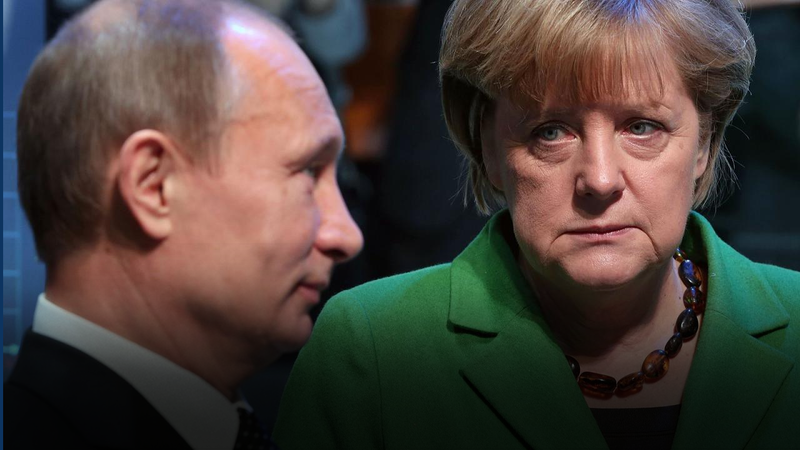 Earlier, Merkel said that we should not expect great results from negotiations with Russian President Vladimir Putin, but there will be discussion of a wide range of topics. Earlier the motorcade of President Vladimir Putin arrived in the Austrian commune Gamlitz, where the ceremony of marriage of Austrian Foreign Minister Karin Kneissl and Wolfgang Meilinger will be held, Reuters reports citing OE24.TV Internet channel.